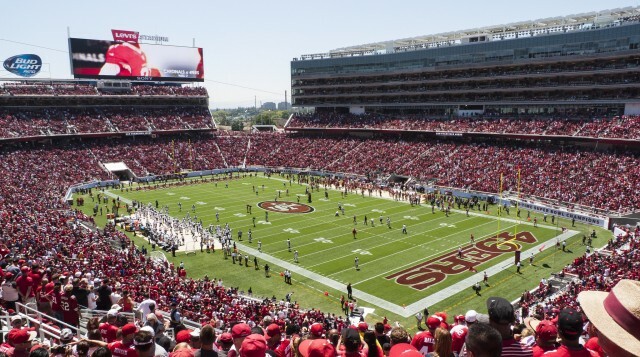 The Bay Area has many professional sporting teams including baseball, basketball, football and hockey. Why not show up to to next game like one of the team players and with out all the stadium hassles. San Jose Party Bus has years of experience in navigating to and from different sporting venues and would like to provide fun and reliable transportation services to your next planned sporting event. Let us worry about getting you there on time, help you avoid the high-priced parking fees, lack of parking spaces and, more conveniently, be your designated driver. Enjoy a few beers while you and your group ride out to the game inside any of our chauffeured vehicles and get dropped of right at the gate entrance. Party Bus San Jose drivers will also be waiting for you at the gate after the game is over to transport you home safely. San Jose Party Bus has 20, 30, and 30+ size party buses and charter buses available to accommodate groups of any size. The next time you are planning a trip to the Giant's game, 49ers game, Raiders, A's game, Sharks, or Warrior's game, remember to give Party Bus San Jose a call for your convenient and reliable transportation services to and from the game. Our friendly staff are available to take your calls and answer any questions you may have about our services. We look forward to speaking with you and providing outstanding services to your next game.